An internal memo warning Apple employees about the consequences of leaking information has been leaked. The tech giant has suffered from a considerable number of leaks in the past, and the memo warns that leakers face losing their jobs and may be fined and even imprisoned. Apparently, the Cupertino-based firm caught 29 leakers in 2017. Leakers do not simply lose their jobs at Apple. In some cases, they face jail time and massive fines for network intrusion and theft of trade secrets both classified as federal crimes. In 2017, Apple caught 29 leakers. 12 of those were arrested. 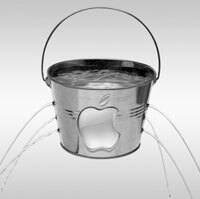 It makes perfectly good business sense for executives at Apple to want to cut down on the amount of leaks the company suffers from. Revealing sensitive information can give unfair advantages to the competition. However, many leaks are simply snippets of information about upcoming products that can act as free promotion, and they certainly don’t seem to financially harm one of the world’s most valuable companies. Unfortunately, the stern warning has not immediately addressed the problem. Not only has the memo itself been leaked today, but there are also images of an unreleased gold-colored iPhone X doing the rounds (although this seems to be a leak by the FCC).